Krill oil is one of those supplements that has been hitting the headlines creating a surge in popularity over recent years. A growing body of research suggests that this oil derived from tiny sea creatures has a range of outstanding health benefits and could be an excellent alternative to omega-3. Krill are tiny crustaceans which look a lot like the familiar shrimp. While they may be tiny, they also play a significant role in the balance of the ocean ecosystem. Krill gather in huge numbers in cold waters and provide whales and other large marine animals with a large part of their diets. Krill oil is extracted from the crustaceans and used to make these health supplements that we are about to discuss. Krill oil contains the omega-3 fatty acids that you have all heard about. Both EPA and DHA are present in krill oil and the human health benefits of these fatty acids is well documented. Krill oil also possesses phospholipids – another type of beneficial fatty acid. As well as these fatty acids, krill oil contains astaxanthin – a type of carotenoid with outstanding antioxidant properties. Astaxanthin has also been well-researched of late and is known to provide you with numerous health benefits. Krill oil supplements can benefit our health in many different ways. Before we go on to look at the best supplements on the market, let us take a look at some of the most significant effects it can have on your health. According to dietary guidelines given by the US government, consuming around 8 ounces of seafood a week will provide you with around 250 mg of DHA and EPA each day. High blood pressure is one of the risk factors for heart disease and there is good evidence that krill oil can help get it back under control. High cholesterol is another major risk factor when it comes to heart disease, stroke, and heart attack. Research done to date suggests that krill oil can play a significant role in reducing cholesterol in the blood and therefore reducing the risk of serious illness. Krill oil may also be an effective way of reducing inflammation and could help ease the pain suffered by people with osteoarthritis and rheumatoid arthritis. Research indicates that krill oil can help women to overcome many of the familiar symptoms of their monthly period. When choosing your supplement, there are certain things you should be on the lookout for. Check the label thoroughly to identify exactly what ingredients have gone into the supplement. Any good quality product should contain krill oil only and no additional ingredients. Try to choose a product that has been certified as using a sustainable fishing method. Consider both the type of supplement and the dose that you require. The majority of supplements are in the form of a capsule with varying strengths. Dosages range from a low 350 mg up to a strength of 1500 mg. The Jarrow K-Real Krill oil supplements were formulated to offer natural support for the brain, memory, heart, joints and to stimulate the immune system. These supplements are high in strength offering 1200 mg of krill oil each serving. They are enhanced with phospholipids which help to activate the omega-3 fatty acids. These supplements also contain 115 mcg of the powerful antioxidant – astaxanthin. The supplements come in small, easy to swallow gel capsules. The price is also very fair considering the dosage you are paying for. Each serving comes with 1000 mg of krill oil, 260 mg of omega-3 fatty acid, 120 mg EPA and 70 mg of DHA. These 1000 mg krill supplements from MegaRed were formulated to enhance heart health. The 1000 mg dose includes 60 mg DHA and 128 mg EPA as well as 50 mcg of the antioxidant – astaxanthin. This oil is certified as coming from a sustainable source so you need not worry about harming the ocean’s natural resources. These pills do not have the fishy aftertaste common to many other brands but they are slightly more pricey than average. The capsules are also a little large making them harder to swallow. Each 1000 mg krill oil capsule contains 230 mg of fatty acids, 128 mg of EPA and 60 mg of DHA. They contain 50 mcg of astaxanthin. They are MSC certified as coming from a sustainable source. The pills are large and not easy to swallow. They are a little pricey compared to some of the others. These krill oil supplements from NOW promise to provide support for your heart as well as improving your joint health and mobility. The 1000 mg servings incorporate DHA and EPA as well as 750 mcg of the healthy antioxidant – astaxanthin. This krill oil has also been harvested by sustainable fishing methods so you need not feel guilty about harming the ocean ecosystem (Friend of the Sea Certified). They have also been tested independently to ensure the quality of your product. Each 1000 mg capsule includes 120 mg of EPA and 70 mg of DHA as well as 230 mg of other omega-3 fatty acids and 390 mg of phospholipids. They are GMP certified and tested independently. They can have an unpleasant aftertaste and some consumers have experienced a fishy burp. NOW is our overall choice when you factor in price per serving, total EPA/DHA levels, astaxanthin, and phospholipids. Like all the other brands mentioned in this article, these supplements come on a dose of 1000 mg krill oil to support your heart and joints. They are also enhanced with phospholipids to activate their supply of fatty acids. The capsules are soft and convenient to use and leave no lingering fishy aftertaste. Each 1000 mg capsule contains 145 mg of omega-3 fatty acids, 60 mg of EPA and 40 mg of DHA. As well as 20 mg of omega-6. They are lower in omega-3 fatty acids than some of the other brands. They are a little expensive for what you are getting. This krill oil from Viva naturals comes in a slightly higher dose and is ideal for the health of your heart, brain, and joints. Each serving comes with 1250 mg of krill oil including a good amount of DHA and EPA. As well as being higher in fatty acids, these supplements contain a higher level of astaxanthin at 1.6 mg. These supplements have been tested independently to ensure that the ingredients are pure and natural and you need not worry about unwanted filler ingredients. The price is good but some users have complained that they have found ruptured capsules in the tub. Each capsule contains 1250 mg of krill oil and includes 300 mg of omega-3, 165 mg of EPA and 165 mg of EPA. Very high in astaxanthin at 1.6 mg per capsule. The capsules have been known to rupture before use. Viva is the overall quality winner but costs the most as well. There is little doubt that a good quality krill oil supplement can benefit your health in a number of different ways. 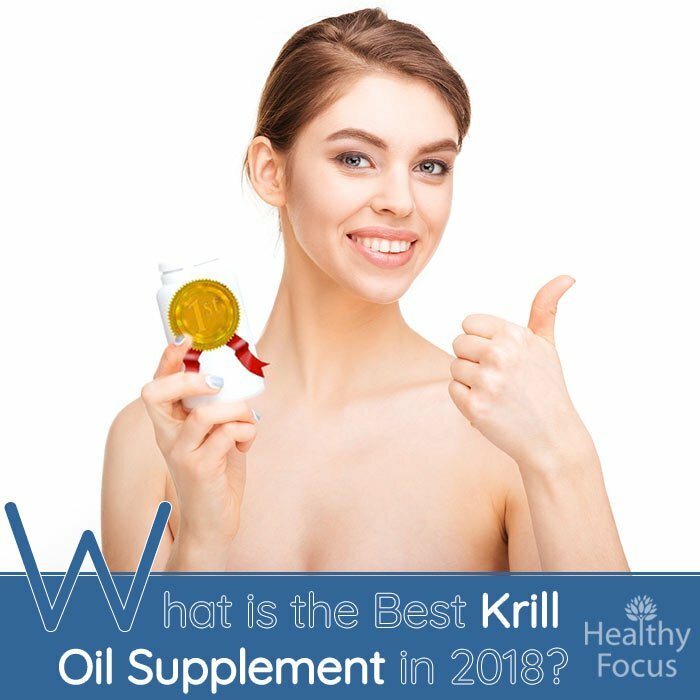 If you are thinking of buying a krill oil supplement, we hope that our article has helped you make a decision.